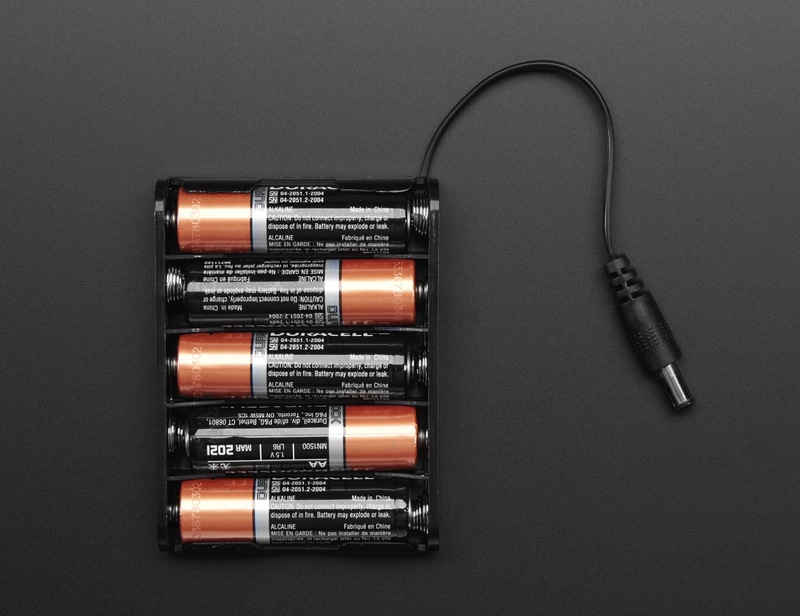 NEW PRODUCT – 5 x AA Battery Holder with 2.1mm DC Jack « Adafruit Industries – Makers, hackers, artists, designers and engineers! 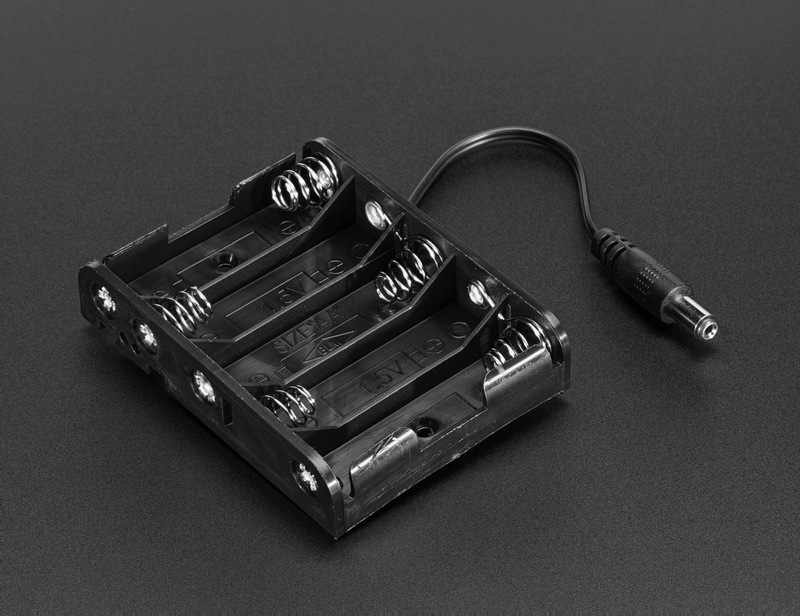 Here’s yet another addition to our family of AA battery holders. 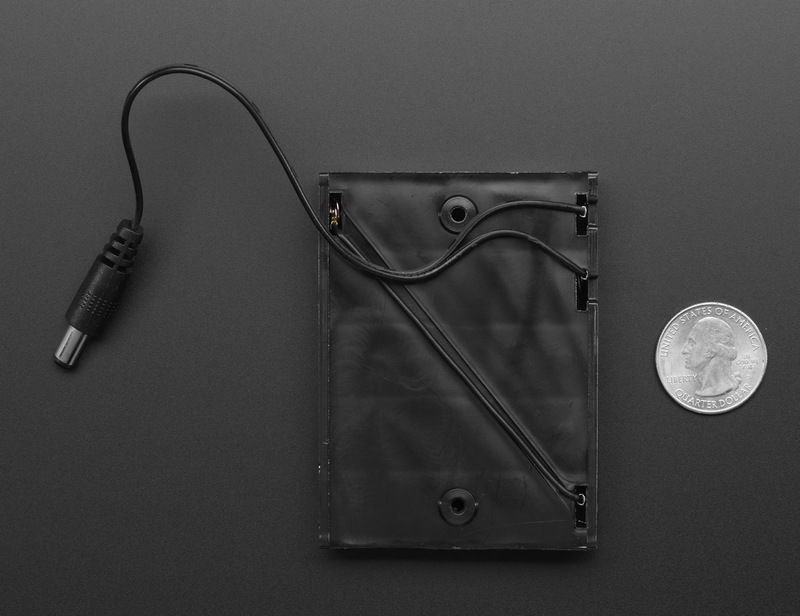 It’s a holder for five (5) AA batteries, with 5″ wire leads. It’s black and has a 2.1mm barrel plug (tip positive). 5 x AA battery packs are best used with Arduino-compatibles and other dev boards with 2.1mm DC jacks and a 5V regulator, because 5V regulators tend to like 1-2V of overhead. 4 x AA battery holders would give you ~6VDC, which is just a tiny bit too low. This 5 x AA holder is just big enough to fit on our robot rover kits, and power both an Arduino-compatible and a couple of motors.